The Bank of England said that the Brexit uncertainties and a weaker global economy overall mean that British growth this year is likely to be 1.2 percent. That’s down sharply from the 1.7 percent predicted in November and below 2018’s 1.4 percent. It would make for the worst year in Britain since a 4.2-percent contraction in 2009. Last month Prime Minister Theresa May saw her Brexit deal with the EU rejected overwhelmingly in Parliament. She’s in Brussels Thursday trying to eke out concessions from the EU, particularly on the controversial border provision in the agreement that is intended to make sure no hard border returns between EU member Ireland and Northern Ireland, which is part of the United Kingdom. It’s unclear if she will be able to get any concessions, and fears have grown in recent weeks that Britain could crash out of the EU without a deal, a worst-case scenario that the Bank of England has previously said could see the British economy shrink by 8 percent within months and house prices collapse by around a third. The worry is that a ‘no-deal’ Brexit could lead to tariffs on exports to the EU and serious disruption to trade. While it remains unclear what Brexit will look like, it is already affecting the economy. Firms have reined back investments after the 2016 vote to leave the EU, and consumers appear to be more cautious. The Bank of England noted that private sector surveys show companies are stockpiling. In its own analysis of companies’ preparations for Brexit, it found that around half of respondents had been building up stock levels or were planning to do so, with two-thirds doing so in the manufacturing and consumer services sectors. 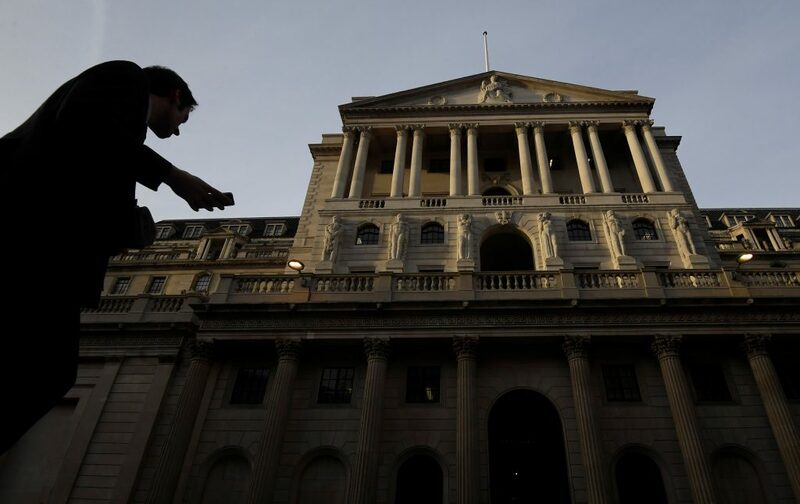 If Britain finalizes and approves a deal for a smooth transition to a new trading relationship with the EU, the Bank of England could be in a position to raise interest rates once again. Though inflation is set to dip below the bank’s 2-percent target over the coming months, that’s only expected to be temporary. Its forecasts suggest it would be poised to raise its main interest rate by a quarter of a percentage point this year. But nothing’s certain as long as Brexit remains unsolved.